Boasting the highest vertical and most skier and rider accessible acreage in Michigan’s Lower Peninsula, Boyne Highlands is known for its hospitality and family friendliness. The resort is home to an extensive trail system that provides terrain for all ability types. The resort is host to a multitude of activities other than skiing and riding. 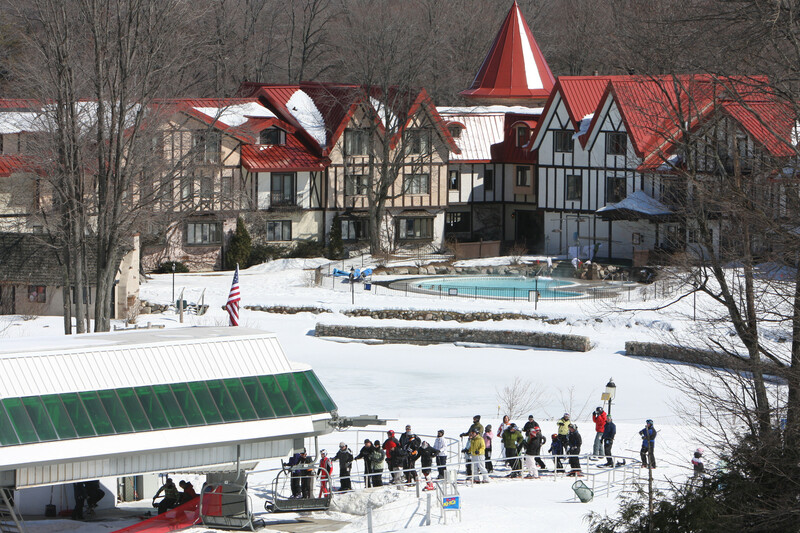 Boyne Highlands offers guests tubing, cross country skiing, snowshoeing and a zipline. The resort is known for being a year-round destination complete with an 18-hole golf course. With over 90% snowmaking ability and an average of 140 inches of annual snowfall, Boyne Highlands’ 552-foot vertical and 55 trails are spread across 435 acres of groomed terrain that accommodates skiers and riders of all ages and abilities. In addition to downhill skiing and riding, there are four progressive terrain parks including a skier/boardercross course and a 13’ halfpipe. Boyne Highlands offers equipment rental and repair, lockers, retail shops, ski valet, warming huts and child care. Private and group lessons, kids and teen camps, tubing, cross country skiing, snowshoeing, Zipline Adventures, dog sledding, horseback trail riding, mountaintop dining, appetizing eateries, après-ski nightlife, ice skating and spa. Snowmobiling is also available nearby.